First, I discovered that the black was hiding some damage pretty well....damage that became pretty visible when painted yellow. Oh well...I paid $75 and I still like it more than something I would have bought new so I got over it. I guess I'll just never take any up-close pictures! Second, apparently painting yellow over black is quite the chore. We [Carter] prepped the table by sanding the top just a tad and giving the whole piece a coat of primer. 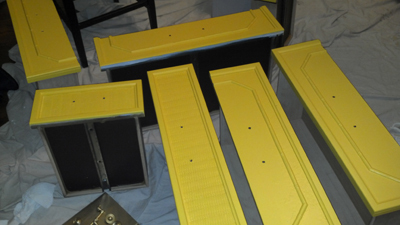 I was hoping this would lead to a fantastic finish but it took 3 coats of yellow paint to hide the black and to be honest, the piece could probably still use a 4th coat to really make it perfect...but we [I] ran out of steam. You can catch a glimpse at the bottom of the 2nd picture of the hardware which we spraypainted brass. Our next step is to give the whole piece a coat of lacquer to give it some shine and protection. I'm really happy with the color, but this is not the color we started out with. I initially chose Sherwin Williams' Bee (6683) because the paint chip was dead on. But, once we put it on the dresser it was a very lemony fluorescent yellow (cue the crying breakdown when I realized this...as if the world was coming to an end...geez louise). I think that might have had less to do with the color and more to do with the fact that the primer/black was very visible below it and the color would have gotten better with more coats. Even so, I kinda knew that after 500 coats the color would still be a little off. So we went back and I picked up the color that was next on the paint chip - Brittlebush (6684). This yellow was much better as it had a deeper golden tone to it...not as fluorescent. Go darker than you think. About three times now, I've chosen a paint chip only to realize that it's not as intense as I wanted it to be. ESPECIALLY when it comes to room painting - a color on a 2" square can seem pretty saturated, but once you spread it out across an entire room, it can wash out a good bit. I'm always scared to go too bold, but like I said, about three times now I've gone back for the "darker" color and the results have been great. I also learned a lesson about the Sherwin Williams quart samples that I love so dearly...they are awesome for the price, but the quality isn't fantastic - especially if you are painting with a tricky color like yellow (ie. we've used them when painting black and they were great). The samples don't cover like their higher grade paints (that are not available in sample quarts, just "regular" quarts). If I was sure of the color I wanted I would have paid the money to get a quart in their Cashmere line and we probably would have been done painting in two coats with a much better finish. Using the sample just took longer and isn't quite as perfect, but we did save some cash. BAM! Awesome, right? Y'all, they totally make the room. This is the big focal point window in the center of the room and we also have a much smaller window in an alcove that only has the pelmet box and blinds (no curtains). I couldn't be happier with the arrangement...it's all looking quite fetching. I see the end in sight...the nursery might actually be done before December! Go Team Shuffler! 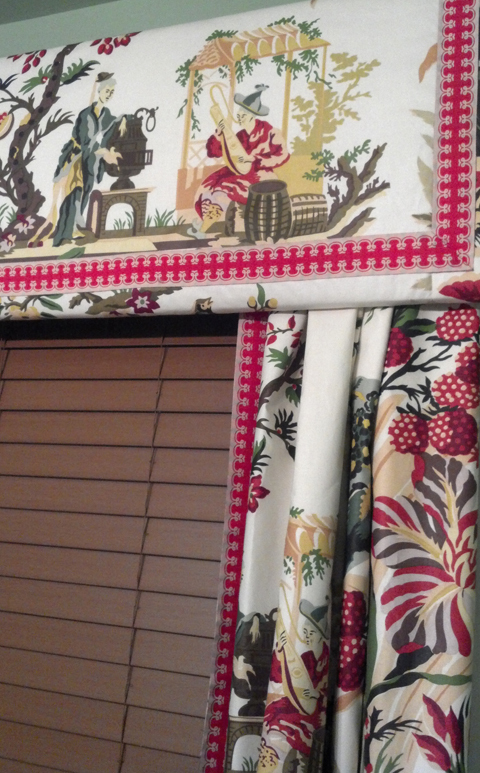 The window treatments look amazing! Where did you find that drapery tape? Love it! drapery looks awesome!!! And that yellow looks like it will be just right. LOVE your window treatment!!! Well done! Your drapes are AMAZING!!! And I love the yellow dresser. The curtains are fantastic. 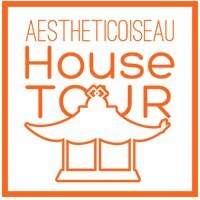 I can't wait to see it all! Those curtains are so incredible I can barely stand it!!! Absolutely beautiful!!! So this is deep golden yellow? Interesting- it looks chartreuse on my screen, which is just what I want for my bathroom vanity. I totally know the feeling with picking paint colors. I'm worried chartreuse will be super tough to get right. I don't want pukey yellow green, you know? The curtains are the bomb! Thanks for the tips. Can't believe it was only $75. That's a great price. 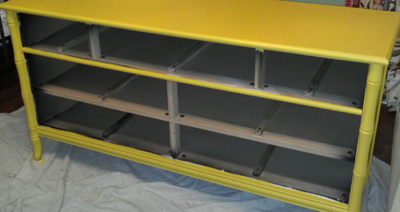 Painting the dresser, I think yellow is really nice especially for a nursery.